In my professional life I spend a lot of time thinking about vortices in fluids; the drag they induce and the noise they create. They are common in every-day fluid flows and yet can be quite beautiful. In their beauty and the compelling way they seem to represent order springing from chaos, there is a trap: the unschooled or unwary can see them as either mystical or unexplained by science. They are, of course, neither; they are entirely natural and well understood phenomena. 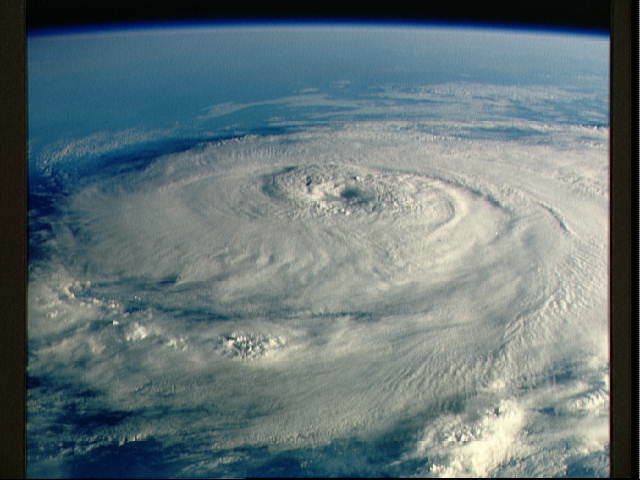 Technically, a vortex is fluid spinning around a centre (or core) with closed streamlines. There are two bounding cases: free (rotational) and forced (irrotational). In the former tangential velocity varies inversely with the distance from the centre. In the latter the fluid rotates like a solid body. Without viscosity the energy contained in a vortex would never dissipate. Thankfully, real fluids like air and water are viscous and vortices dissipate naturally (for example vortices shed from aircraft wings can crack roofing tiles on homes under approaches to airports: who would want these things winging their way around the world for eternity!). In nature the two bounding cases are often seen together: in a whirlpool water spins around a central core as a free vortex, whilst the water at the centre, forming the core, rotates like a solid body (i.e. a forced vortex). There is no magic here. 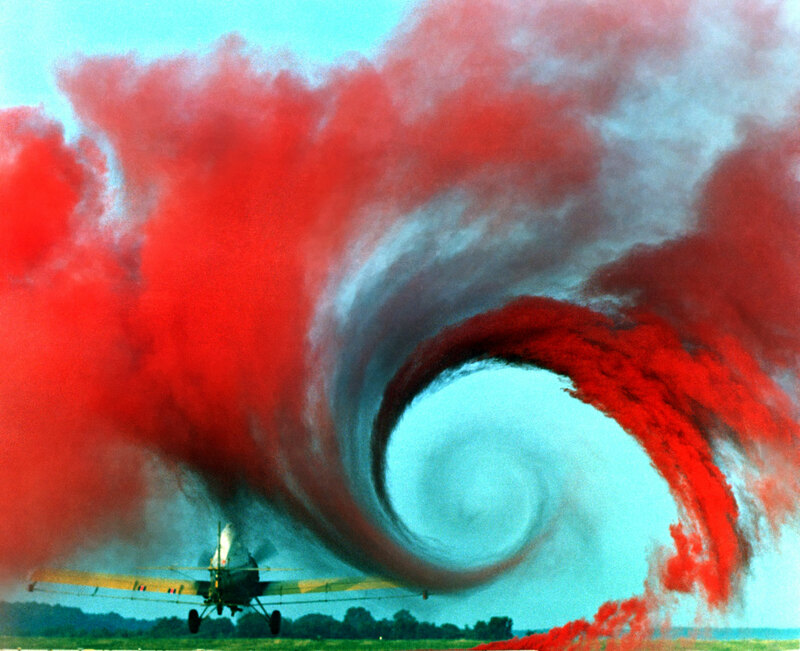 Vortices can be entirely described within the mathematical framework of fluid mechanics. They contain energy which they have removed from the flow which created them, or the system that drives them. Yet, these common phenomena have been appropriated into the mystical lexicon and invoked as part of the ‘free energy’ fantasy; and this in a literal rather than metaphorical sense. One of the best examples is provided by the Austrian forester Viktor Schauberger. His unschooled observations of nature lead him to misunderstand the nature of vortices and be amazed by the predictable. For example the reduced pressure at the core of a vortex was for Schauberger an ‘implosion’. For him, vortices ‘generate’ energy rather than contain energy supplied by other sources. He also saw mystical vortex power in the ability of trout to swim upstream, rather than their elegant low drag shape reducing the effort this requires. This observation is clearly inferior to that of Sir George Cayley (1773-1857) who deduced an aerofoil section, not too far removed from a modern symetrical NACA design, from studying the shape of trout. Schauberger’s ideas also incorporated overt mysticism, seeing water as somehow alive; harmed by the actions of man and needing to be healed before it can be used to best advantage. The seductive nature of macroscopic vortices has also led others to see them as somehow changing the microscopic ‘structure’ of water. These ideas have predictably spawned commercial products that can, allegedly, promote healing and wellbeing through subjecting water to vortical flow. Once processed in this way it (somehow) retains special characteristics. In a strange twist one group promoting this nonsense has links to homeopathy and the strange network that one UFO-chasing–crop-circle-researching–dowsing ‘academic’ advocate of energy-from-nothing clap-trap belongs to. This brings me on to the connection with ‘free energy‘. As we get more worried about energy supplies, fossil fuels, CO2 and climate change the dangers of being seduced by nonsense seem to grow. Legitimate concerns are used by pseudoscientists and misguided amateurs alike to promote the impossible. Hence we have claims that vortex-power generators can produce more energy than is provided to them. The seductive nature of vortices can also be seen in the way they are used to transform the unsurprising into the revolutionary. For example the “Zotlöterer Gravitational Vortex Power Plant” (described here and here) uses water flowing under gravity to drive a turbine set at the centre of a vortex. It’s ingenious and probably quite useful; but there is nothing remotely surprising about the way it works. At the other extreme they become an ‘explanation’ for how UFOs ‘work’. Now I’m not knocking vortices: they are beautiful and can be useful. In my line of work they generally waste energy. However, they are well understood, violate no laws of thermodynamics: they are not magic. This entry was posted on March 17, 2008 at 21:27	and is filed under Fluid Mechanics, Pseudoscience. Tagged: Sir George Cayley, Viktor Schauberger, vortex, Zotlöterer Gravitational Vortex Power Plant. You can follow any responses to this entry through the RSS 2.0 feed. Both comments and pings are currently closed. But hey, don’t forget: Such a vortex can change your height! That’s new to me. Is there nothing a vortex can’t do? Thanks for the link.